The weather has been a touch warmer than of late and much more pleasant for cycling. One of my favourite rides is to Craignethan Castle near Crossford in Lanarkshire. I like it because the roads leading to the castle are very quiet and also I have friends who live near it. 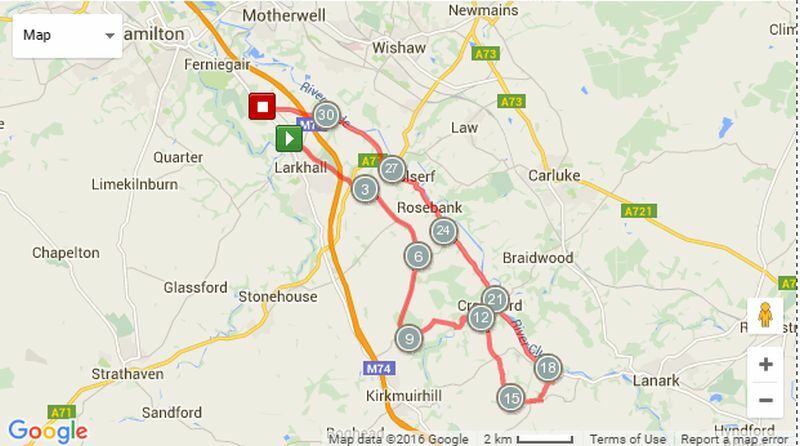 I started the ride from the town of Larkhall. 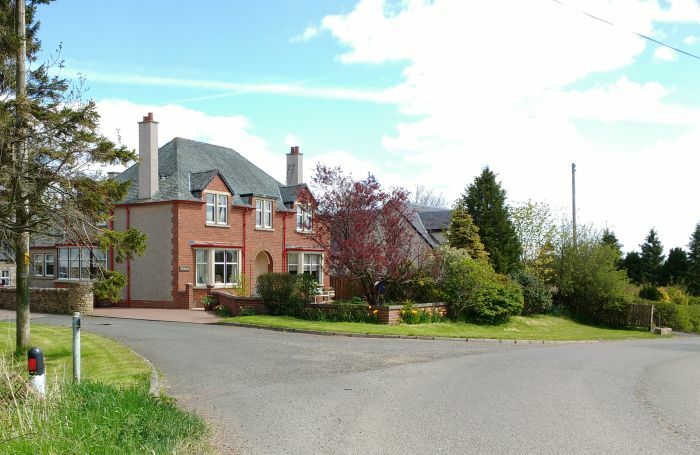 Larkhall is a former mining town and has some lovely stone-built houses and cottages, as well as more modern houses. 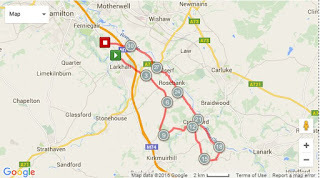 I usually take the back route through Larkhall (B7019) as it avoids the busy main street and is much quieter. It also passes the small 9 hole golf course which is popular with beginners and those using motorised golf buggies, as it is reasonably flat. Arriving at the village of Ashgill, the local church comes into view. 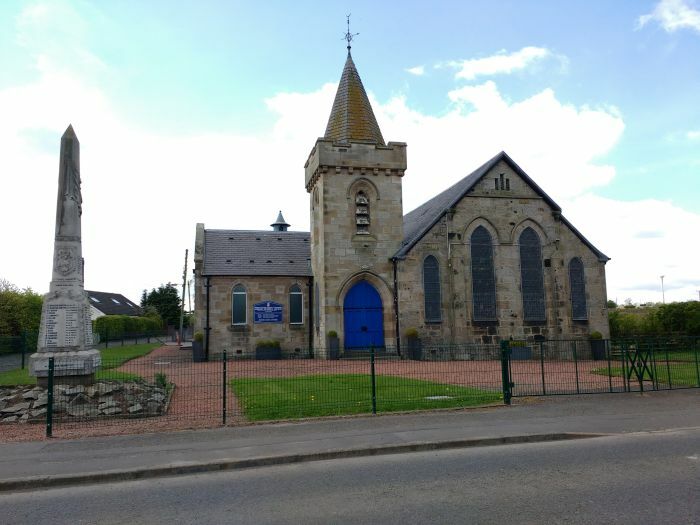 The church was built in 1889 and refurbished in 1912. It is called after Dr William Peebles Rorison was one minister to Dalserf Parish Church. He was educated for the ministry in Glasgow and was inducted to Dalserf on 1st May, 1851, where he spent 56 years. The Hon. James Hozier, son of Lord Newlands of Mauldslie, gifted a substantial proportion of the cost for the refurbishment in 1912 and suggested it be renamed the Rorison Memorial. At Ashgill I met some friends who were accompanying me on the ride. The road passed some pleasant countryside with only a few cars passing us on the road. 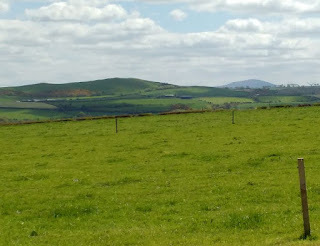 In the photograph below can be seen Tinto Hill in the top right. 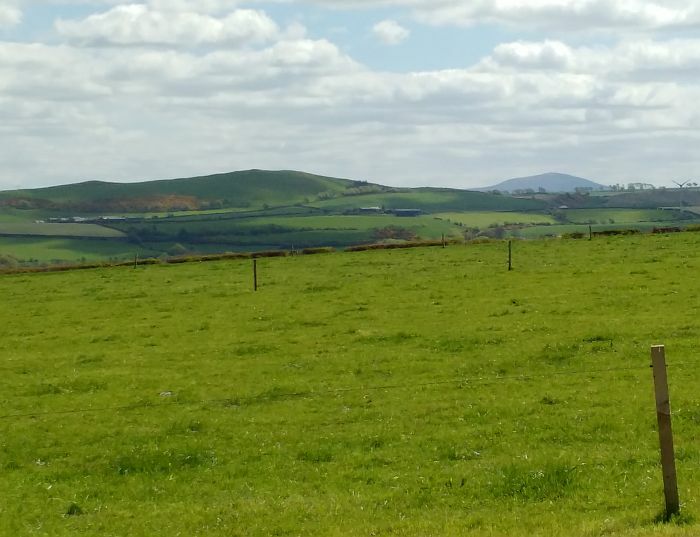 This is a popular hill walk for those looking for a test of their fitness. 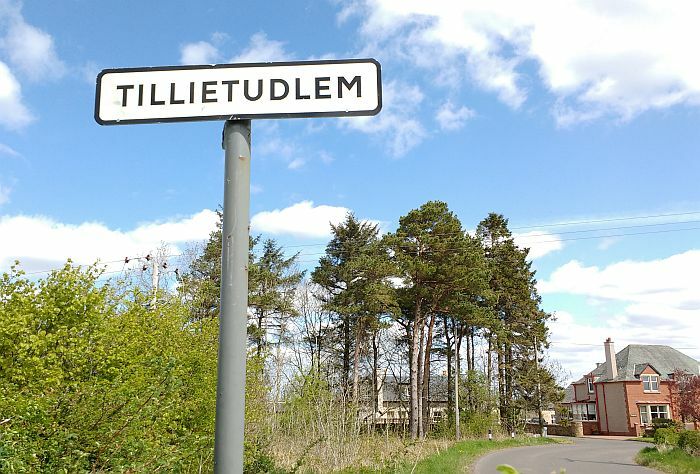 Just before arriving at Craignethan Castle, we pass the hamlet of Tillietudlem. Tillietudlem is a fictional castle in Sir Walter Scott's 1816 novel Old Mortality. In the Autumn of 1799 the novelist made a brief visit to Craignethan Castle. His novel 'Old Mortality' which was published in 1816, was set in South Lanarkshire during the late 17th century conflicts between Royalists and Covenanters. 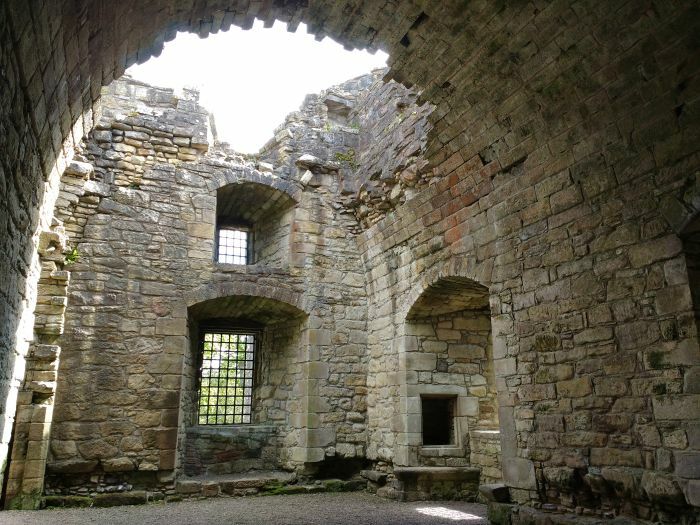 The plot largely takes place in and around the fictional Tillietudlem Castle. 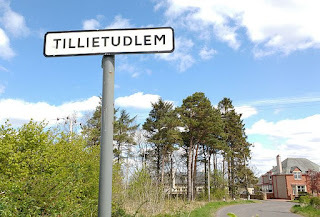 It is thought that the name Tillietudlem was taken from the ravine under the old castle of Lanark called Gillytudlem. The Ordnance Survey of 1859 names the gorge "Gullie-tudlem". Just after passing Tillietudlem hamlet is the entrance to the castle. 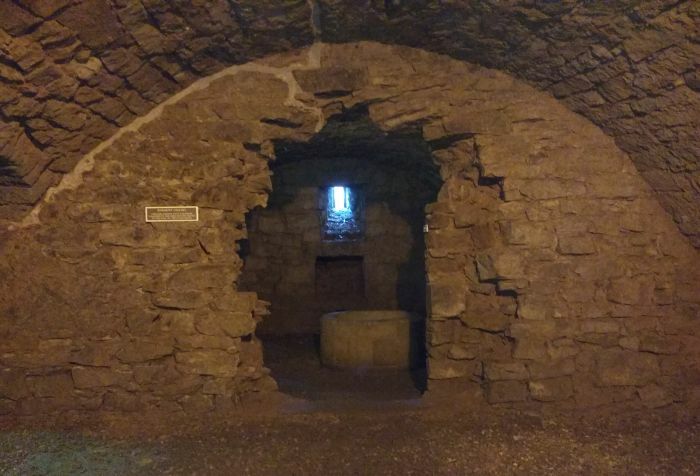 There is a short drive up to it with a short walk from the car park. The above photograph shows the castle from the hill above. 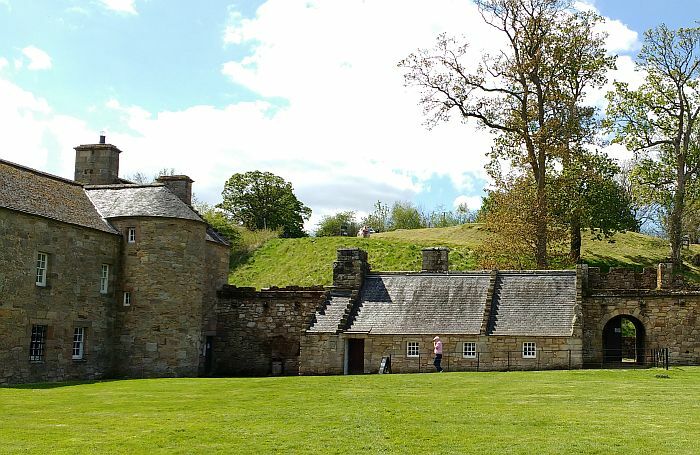 There is a steep walk from the car park to the castle entrance is quite steep and those with mobility problems are allowed to park just outside the castle gates. 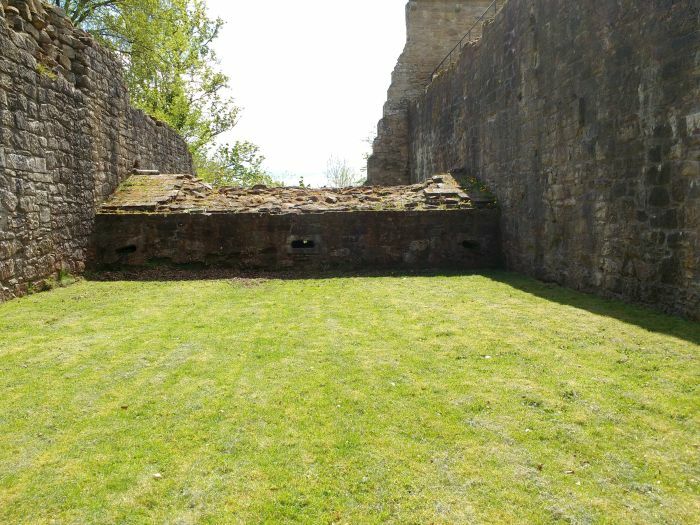 The castle has an inner and outer courtyard separated by a deep ditch. The largest building is the keep which in very good condition considering its age. 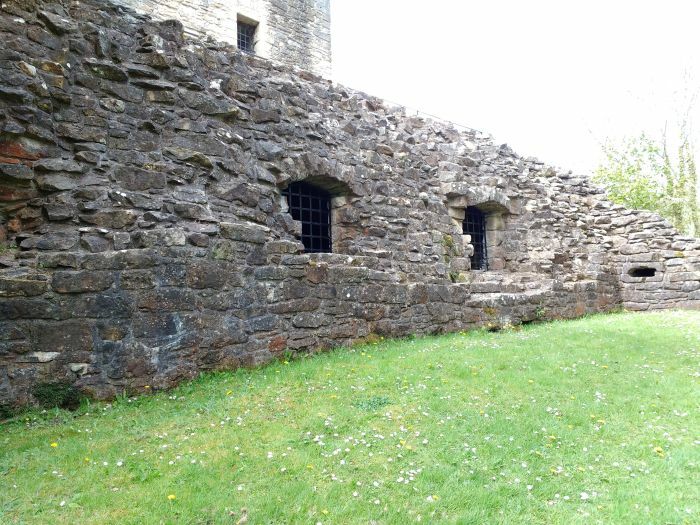 The attic and roof are gone, but the walls still have many decorative corbels which supported a parapet walk. 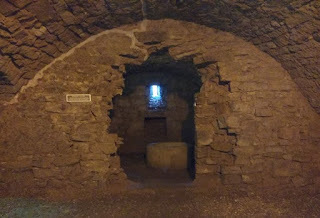 Walking through the main entrance there are stairs to the left leading to the upper floors and on the right, the stairs lead to vaulted cellars which contain four rooms, a prison, and a well. In the ditch is a caponier. This was a fortified structure which allowed defenders to use hand-guns to ward off attackers. 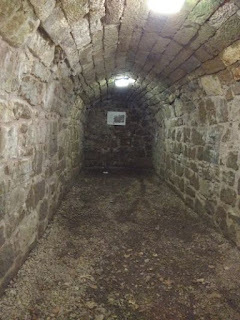 If attackers managed to gain entry to it, they could be picked off by the soldiers in the caponier. 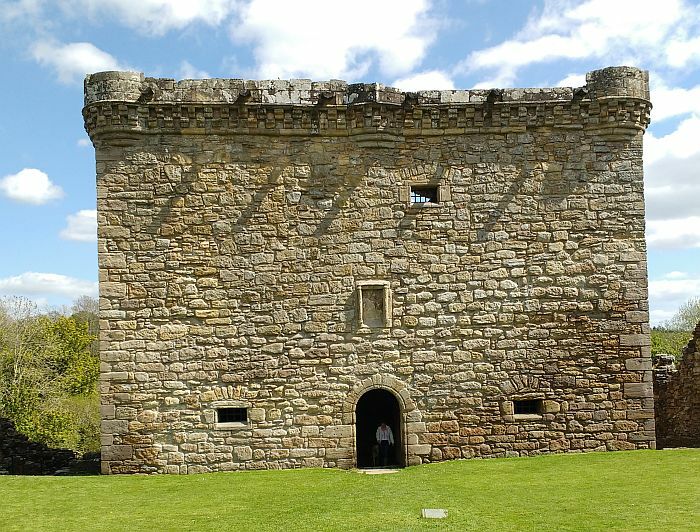 This is a rare structure in Scottish castles. The photograph gives some indication of how deep the ditch is. 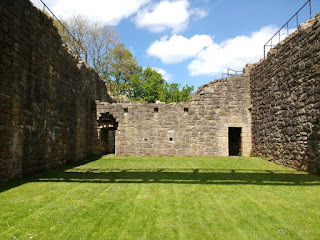 At the corner of the outer courtyard are some towers. In the photograph above a steep hill can be seen in the background. At the top of the hill is the location of the car park. 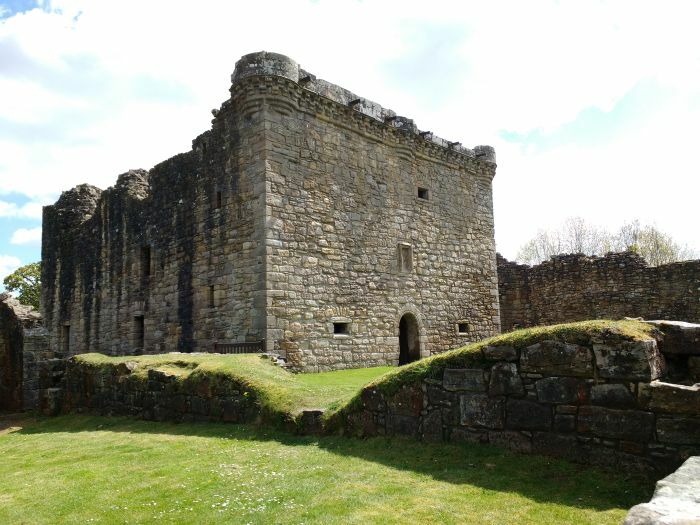 For the history of the castle, please see here. 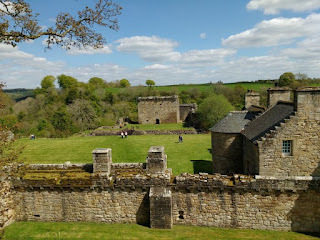 An excellent video of a tour of the castle can be seen below. After visiting the castle we made our way to Crossford and the Dobbies Sandyholm garden centre for some refreshments. The road from Craignethan castle is very steep. Just after leaving the castle there is a very steep descent. A car had recently overshot the bend and the fence was broken. 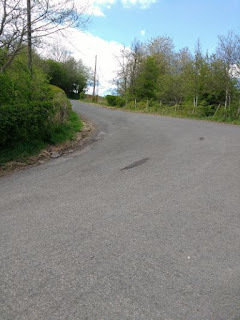 At the bottom of the road it flattens before the road climbs steeply and then follows is a steep descent into Crossford. My disk brakes were working overtime at this point. At Lanark Road it was a short cycle up to Sandyholm. After some refreshments there we cycled back home. It had been another pleasant day out.